An online presence is an indispensable opportunity to connect with new customers and cement relationships with existing clients. But building a website from scratch can be quite an undertaking. What needs to be done, and where do you start? The first step is to register the company’s domain name – the web address at which customers can find the website. The domain name should be short, concise and reflect the name or nature of the organization. Within our checklist, you’ll find a special tool that enables you to see whether or not the domain name you want is already taken. With a little tweaking, you’ll surely find a domain that will suit your business. Building a website can be a difficult process, so we’ve created a checklist to help. Next, you’ll need hosting services to support the website. The host can manage the servers and other necessary computing equipment while ensuring that you and your customers can access the website. Hostway offers several different hosting plans perfect for every organization. Whether you have little experience with websites, or you’re more technically savvy, we have a plan to fit your needs. This way, you can select one that makes it easy to configure support, or one that gives you more granular control over your computing resources. Once the domain and hosting are in place, it’s finally time to build the actual website. Hostway includes an easy-to-use Website Builder with each of our hosting plans to help facilitate this process. Use a responsive design: When designing your site, it’s important to use a layout that can adjust to different screen sizes. 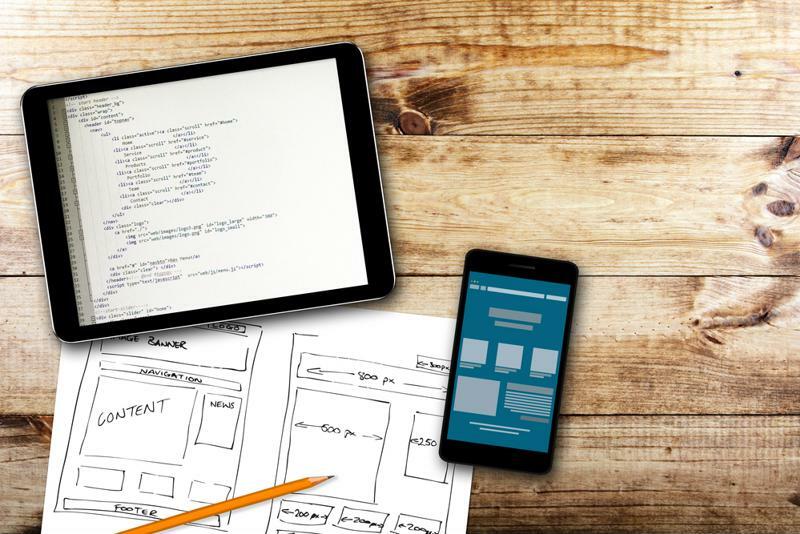 An increasing amount of traffic is coming from smartphones and tablets, and a responsive design will ensure your site is displayed properly on any screen. Organize content in a meaningful way: Advia contributor Brandon Hill suggested organizing content in a way that will keep users engaged. It’s also important to think about navigation – for instance, is a search bar available? Are there category names visitors that can browse? Is written content presented in an easily digestible manner – i.e., with brief paragraphs, bullet points and large headlines? Focus on the user experience: Throughout the design and building process, it’s important to consider how users will utilize and interact with the platform. Bean Creative contributor Layla Masri noted that simplicity is key, as is offering a place for users to share feedback. Next, it’s time to drive users to your website. Several strategies should be employed, including email marketing, submitting the site to major search engines and having it listed in local directories. In addition, Web Savvy advised using keywords in content to better support search engine optimization and writing content headlines that will captivate the reader without being spammy. Headlines or titles should directly relate to content and include keywords, but only when it makes sense to do so. Forcing in keywords can do more harm than good when it comes to user engagement. Social media is also a powerful tool. A well-timed post that is relatable to clients while still supporting the brand can make all the difference. Circle S Studio pointed out that solely promotional posts won’t garner as much attention as sharing blogs, eBooks, webinars or other materials. Finally, you can choose to add e-commerce capabilities to the site. This includes a shopping cart and other special features that enable users to make purchases directly from the website. Hostway offers several industry-leading e-commerce solutions, including shopping cart, merchant account and SSL certificates. To find out more about building a website, establishing an online presence or adding e-commerce capabilities, contact Hostway today.